This text begins with God's definitive intervention into human history in the Person of his Son and continues to the present day. It shows how God has acted through the Church to further his salvific mission. 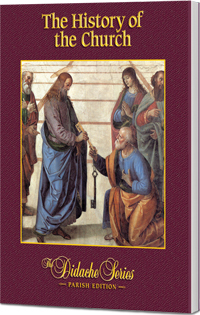 It examines the lives of the saints and how they - by cooperating with God's grace - helped to shape the life of the Church as well as Christian society and culture.